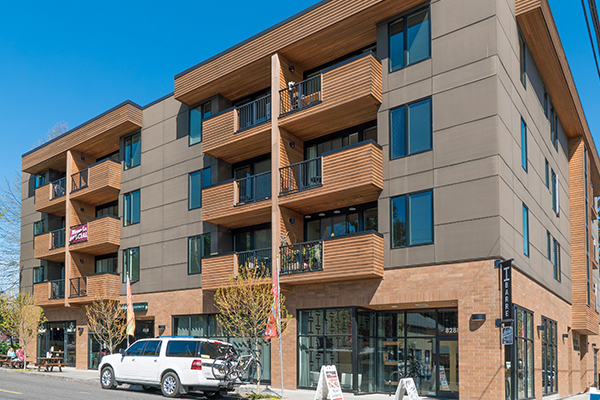 Madison at Sellwood is a newer mixed-use building in Portland, Oregon. The property includes three fully-leased ground-floor retail spaces and 21 apartments. Approximately 82% of the property is multifamily. A unique feature of the property is the spacious two-bed two-bath units with large decks and in-unit washer/dryer. The building is elevator-served and includes five secured parking spaces. Madison at Sellwood in the heart of the popular Sellwood neighborhood, a few blocks from New Seasons market. The asset was owner-managed. Rents trailed the market and the property had significant vacancy issues due to lack of oversight. Previously listed unsuccessfully by a national firm, HFO used its extensive market knowledge to communicate the special nuances of the opportunity and identified an experienced out-of-state private equity buyer.